VanDusen Chevrolet Buick GMC is proud to once again sponsor and support the Ajax Creative Arts. 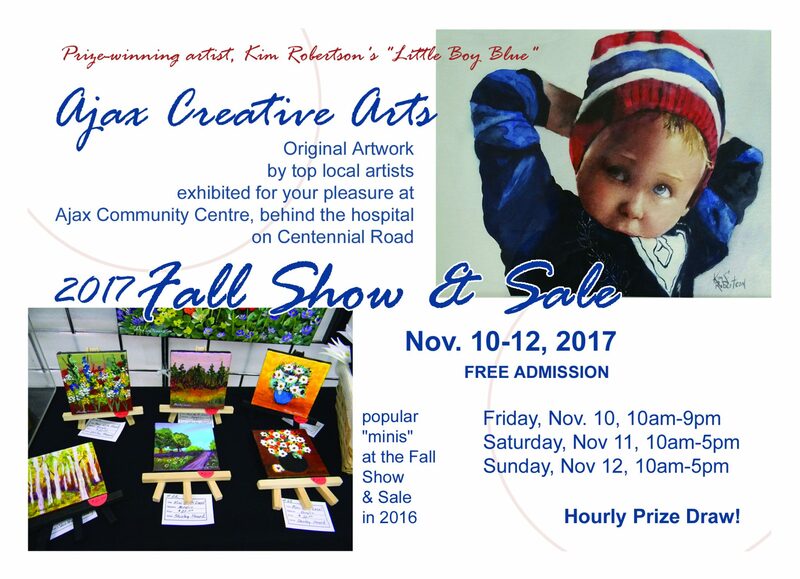 The 2017 Fall Show & Sale was held on November 10-12 at the Ajax Community Centre. It was the 51st Fall Show and Sale event. Admission is always free and gives our community a chance to browse the artwork from top local artists. The event is hosted by the Ajax Creative Arts Club and all donations go to the local Canadian Mental Health Association. The Ajax Creative Arts exists to provide a supportive, safe environment where visual artists at every level of amateur and professional development can work, prosper, learn and promote their artistic skills. The Ajax Creative Arts has over 110 members with exhibitions in galleries from Ajax Community Centre to Whitby Station Gallery.